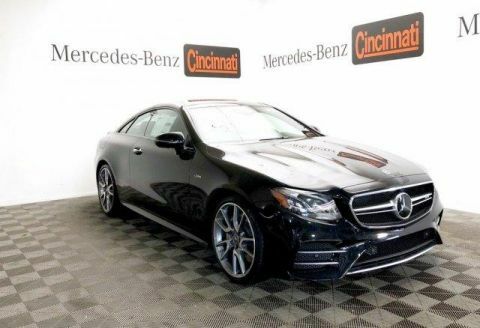 Only 2 AMG® E 53 4MATIC® Coupe models left in stock! 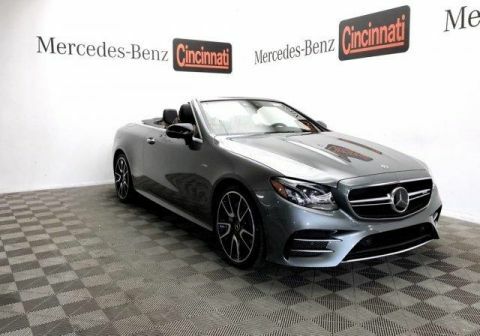 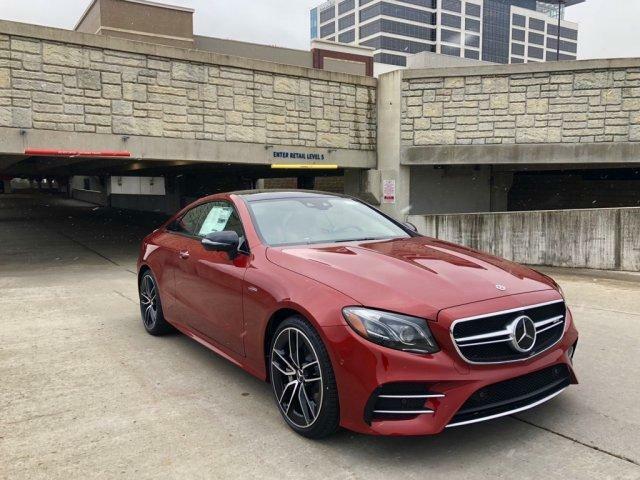 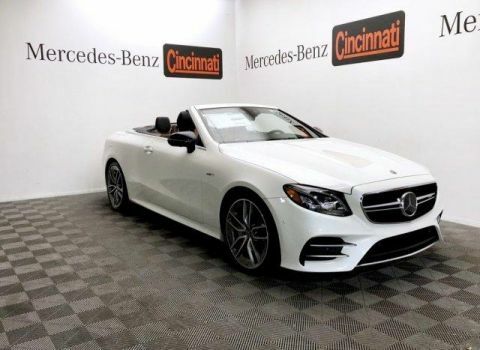 Navigation, Sunroof, Panoramic Roof, Full-Time 4MATIC® All-Wheel Drive, Turbocharged Mercedes-Benz AMG® E 53 with designo® Cardinal Red Metallic exterior and AMG® Black Nappa Leather w/ Red Stitching interior features a Straight 6 Cylinder Engine with 429 HP at 6100 RPM*. 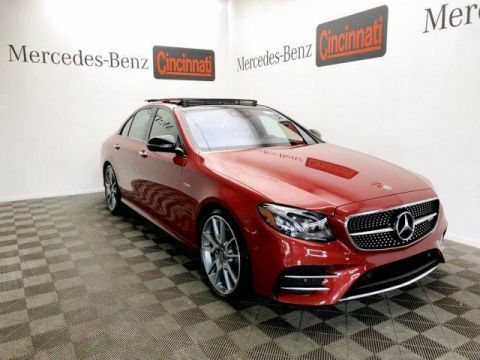 DRIVER ASSISTANCE PACKAGE Active Emergency Stop Assist, Evasive Steering Assist, Active Blind Spot Assist, Active Lane Keeping Assist and extended restart by stop and go up to 3 seconds, Speed Limit Assist, Active Speed Limit Assist, Active Lane Change Assist, DISTRONIC PLUS® w/PRESAFE® Brake, Active Brake Assist w/Cross-Traffic Function, Route Based Speed Adaptation, PRESAFE® PLUS Rear End Collision Protection, Active Steering Assist, PARKING ASSISTANCE PACKAGE Front Mud Flaps, Surround View System, Active Parking Assist, WARMTH & COMFORT PACKAGE Heated Door Panels & Center Console, Heated Steering Wheel, Front Heated Armrests, Rapid Heating Functionality for Front Seats, HEAD-UP DISPLAY W/AMG®-SPECIFIC CONTENT, MULTI-CONTOUR FRONT SEATS W/MASSAGE FEATURE, EXTERIOR LIGHTING PACKAGE Adaptive Highbeam Assist, LED Intelligent Light System, WHEELS: 20 AMG® TWIN 5-SPK W/BLACK ACCENTS Tires: 245/35R20 Front & 275/30R20 Rear, HEATED & VENTILATED FRONT SEATS.